HOUSTON — Houston home sales fell 10.5 percent in November as declining oil prices, slow job growth and a weakening in the local economy hurt sales. The Houston Association of Realtors reported 4,595 single-family homes were sold in November, down from 5,135 sales in November of 2014. The slowdown brought on the first decline in home prices since February 2012. The average price of a home sold in November was $262,064, down 3.5 percent from a year earlier. The November decline followed a slow October, indicating that the trend for exceptionally strong sales may has come to a halt. Last year was the best year ever for home sales in Houston and this year was strong also – until this fall when the weight of the energy collapse flattened sales. The decline was more significant that the typical seasonal slowdown. The decrease in oil prices – dropping to a seven-year low of less than $38 a barrel today from a high of $107 in June 2014 – has been a blow to the Houston economy and caused layoffs at energy firms. 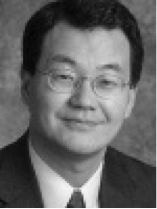 falling oil prices, says Lawrence Yun, chief economist for the National Association of Realtors. Even with the fourth quarter swoon, Houston real estate is not headed for an complete meltdown. Year-to-date home sales are running 1.8 percent behind the sales pace of 2014, which was the best year ever for Houston. Houston has lost its status as one of the top job creators in the nation. Houston will gain 22,000 new jobs in 2016, not as many as the 100,000 jobs in 2014, but still a positive, not a job loss, says Patrick Jankowski, regional economist for the Greater Houston Partnership. Houston’s inventory of homes for sale remains slim – only a 3.4 months supply, HAR said. Compared to the inventory in years past that is small supply. “We’re not seeing a glut of homes o the market,” Bernstein said. Most economists believe the Federal Reserve will move next week (Dec. 16) to raise interest rates and additional rate hikes will be coming in 2016. “No one is expecting rates to move substantially in the months ahead given global economic weakness,” says Jonathan Smoke, chief economist for Realtor.com. Smoke expects mortgage rates to remain relatively low for at least a year, perhaps a lot longer. Last week, the 30-year mortgage rate was 3.93 percent, only slightly higher than the 3.89 percent reported a year ago, according to Freddie Mac. Rising mortgage rates will have to go to 5.1 percent to have a real impact on home sales and it will be first-time home buyers who will be ones who get hurt the most when they do rise, according to the new First American Financial’s national survey of title agents. First-time home buyers accounted for only 32 percent of the market in the past year, its lowest point since 1987, according to the National Association of Realtors. Tight credit and restrictive lending policies have made it harder for younger people and first-time buyers to get home loans, the NAR says. – By Ralph Bivins, editor of Realty News Report. Bivins is a past president of the National Association of Real Estate Editors.